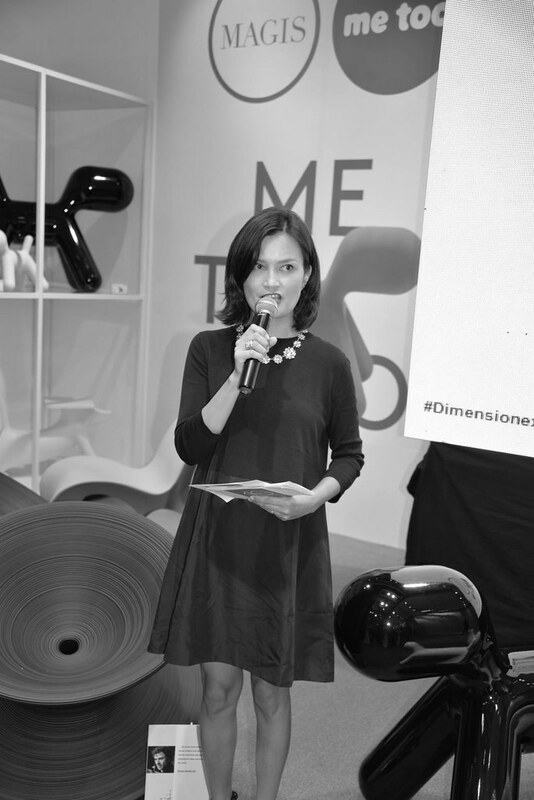 I’m still thinking about the amazing show I hosted at Studio Dimensione in BGC last week. 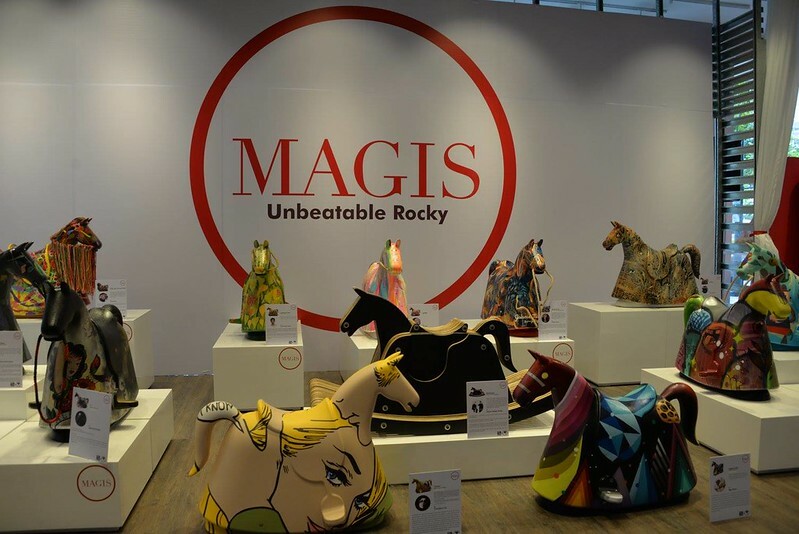 To celebrate Magis’ 40th Anniversary, Dimensione and Secret Fresh Gallery collaborated with 14 Filipino artists to reinterpret the Magis Rocky, created by one of the most influential designers, Marc Newson. 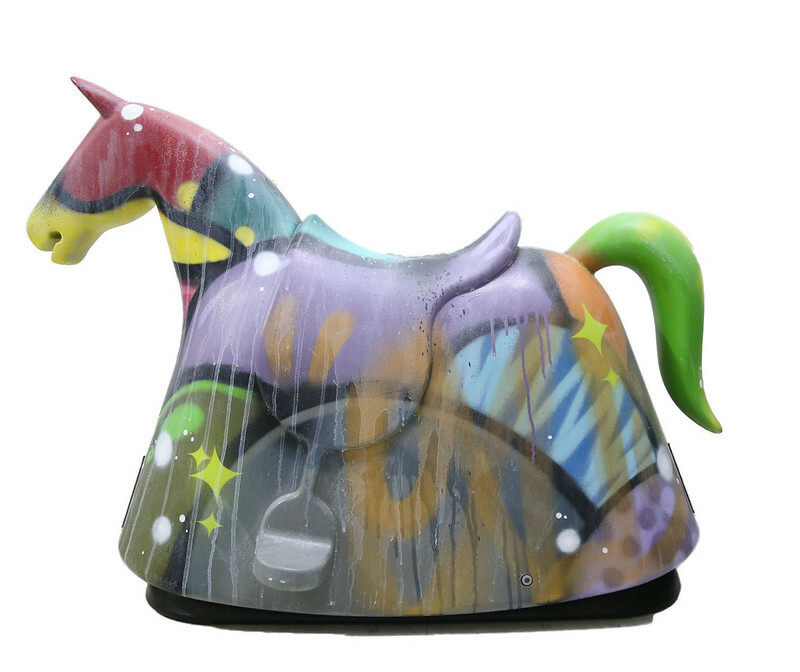 Rocky is the second of Marc Newson’s designs for children, which is a modern take on a traditional object. 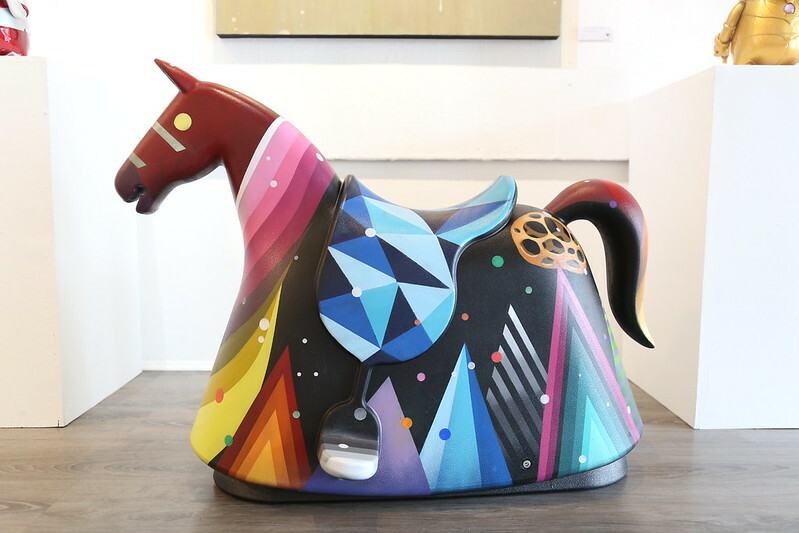 Rocky is a pop version of medieval jousting horses complete with a parallelogram motion that mimics the movement of a traditional rocking horse. It is made from rotationally moulded polyethylene chosen for both its durability and recyclability. 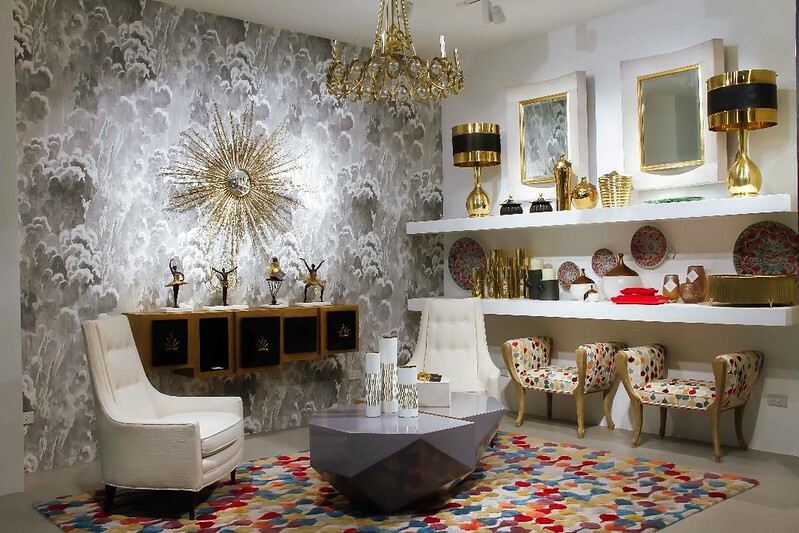 Dimensione has established a modern and design-driven aesthetic in its merchandise and showrooms. 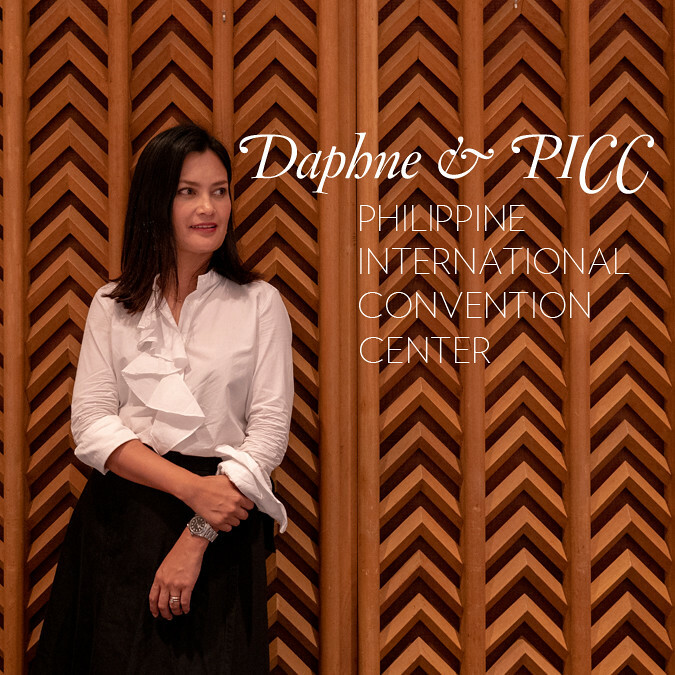 I was very honoured to have had the DAPHNE® Furniture line carried there for a few seasons. It is my go-to for inspiration and home design needs. 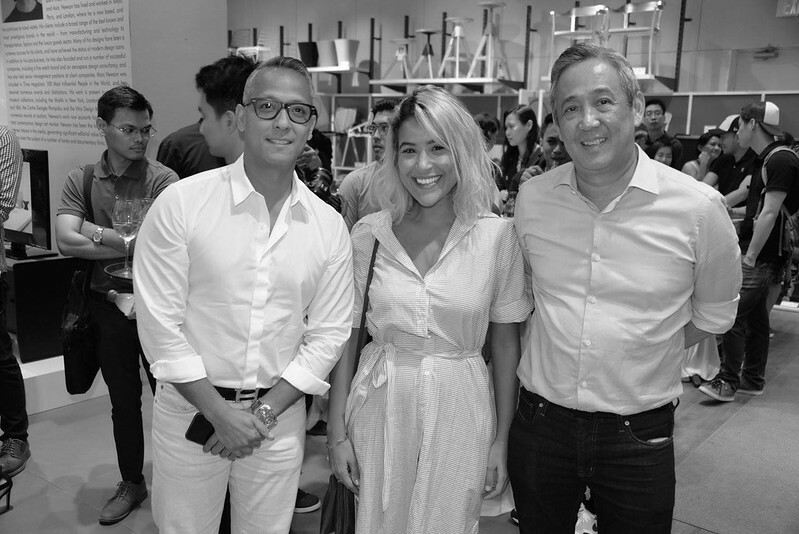 Lately Dimensione has been pushing the boundaries of art and design by having the most interesting art shows and design collaborations involving Magis. 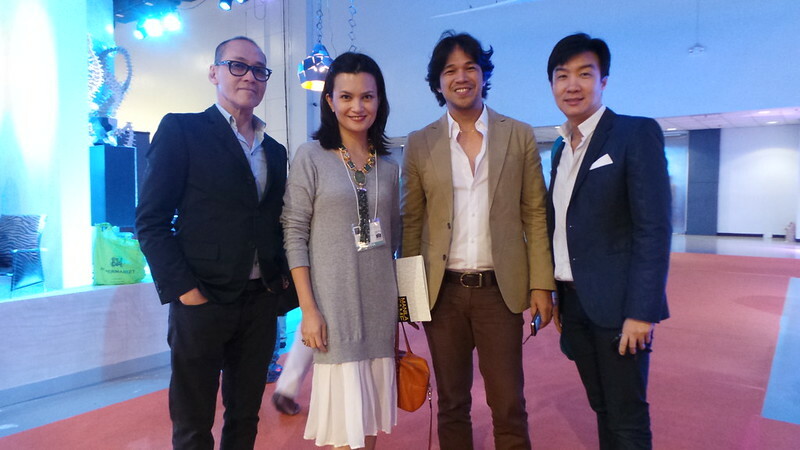 This is a great evolution for Magis and Dimensione, who have been exclusive partners in the Philippines since 1997. 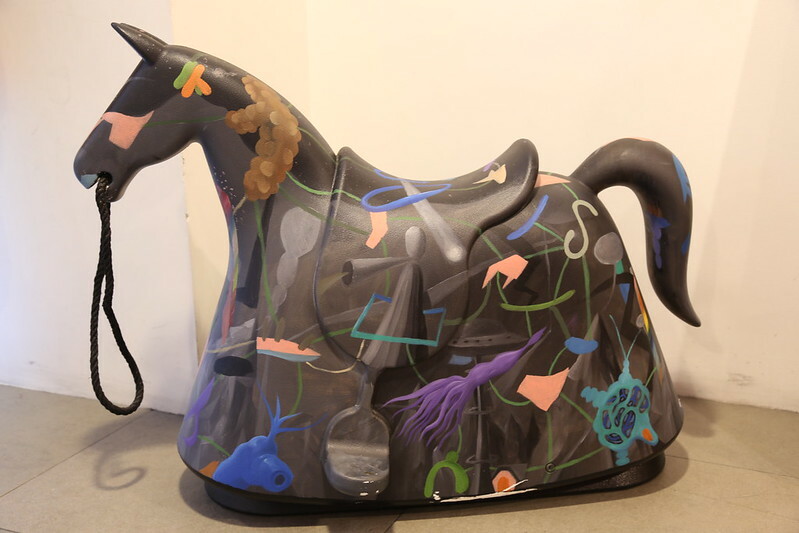 The indestructible and unbeatable Rocky was re-painted, re-surfaced, and deconstructed by 14 local artists from Secret Fresh – Renato Barja Jr., Iya Consorio, Egg Fiasco, Mark Andy Garcia, Jagnus Design Studio, Yeo Kaa, Luis Lorenzana, Galaxie Maria, Gene Paul Martin, Jason Montinola, Jason Moss, Christian Tamondong, Clairelynn Uy and JJ “Exld” Zamoranos – each showing different techniques, inspirations and stories. 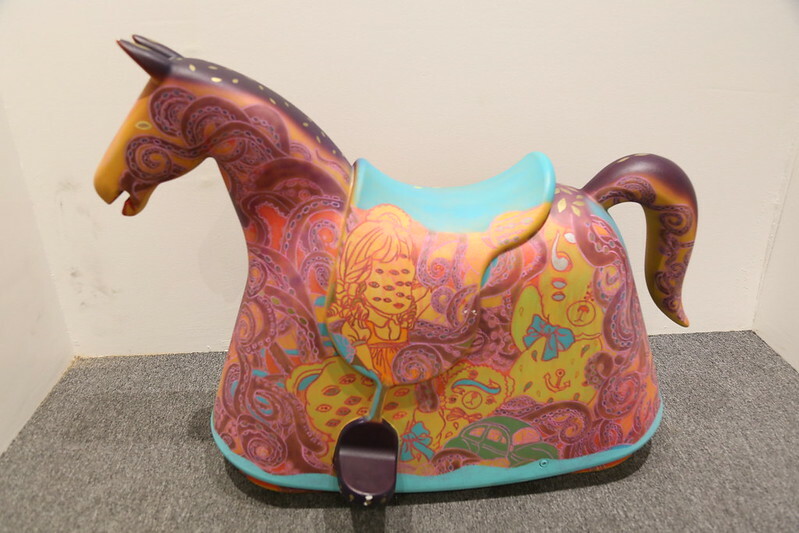 These one-of-a-kind art pieces are for sale. 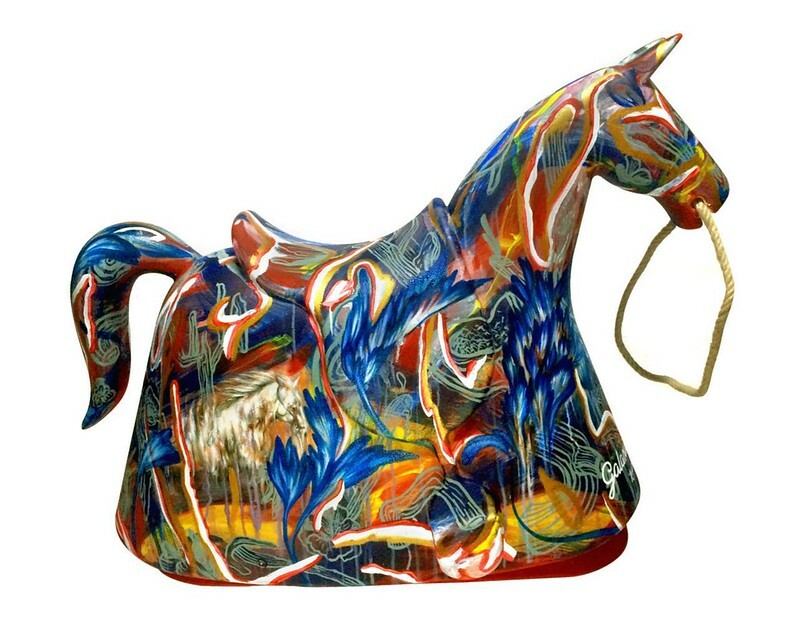 The night of the launch, quite a few Rocky horses were bought on the spot. But you can still see the pieces. 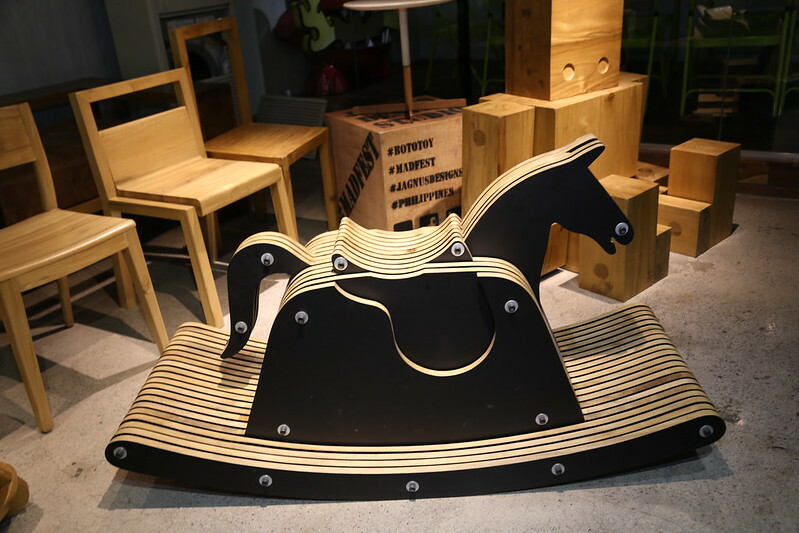 The Unbeatable Rocky is currently on display at the Studio Dimensione showroom at 28th Street cor. 7th Avenue in BGC, Taguig up to September 4, 2016. Secret Fresh artists with SF Bigboy Cheng and Ben Chan. Photo by Miguel Pastor. Me hosting. I wore a dress I bought in Cos Tokyo and necklace from Bauble Bar. Photo by Miguel Pastor. Always a pleasure being with Lucy Torres-Gomez. Photo by Miguel Pastor. We were having the funniest conversation here. 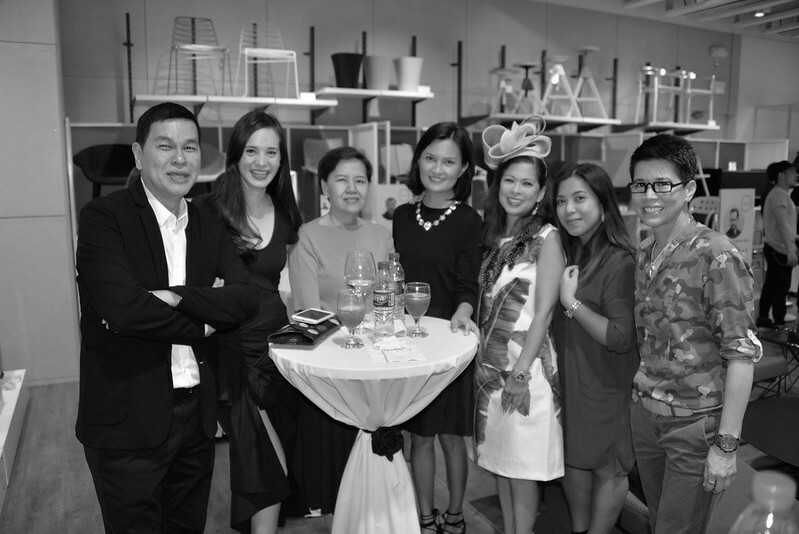 With Ben Chan, Lucy, Mrs Nenita Lim, Tessa Valdes, Pia Campos and Tessa Alindogan. Photo by Miguel Pastor. Gil Coscolluela and Joey Yupangco with the representative of Magis in the region. Marc Newson’s Rocky by Magis. Clairelynn Uy – “I know”, Acrylic. Influenced by pop art. 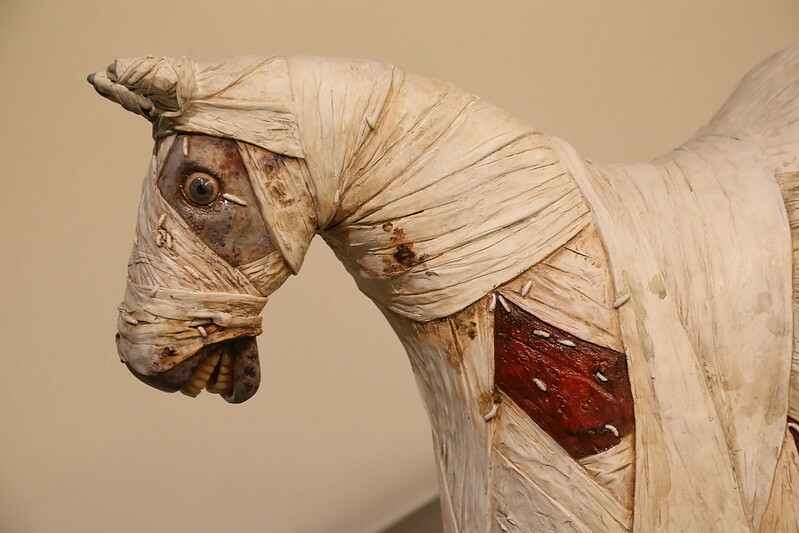 Renato Barja’s Dead Horse, detail. Jason Montinola, X, Mixed media. 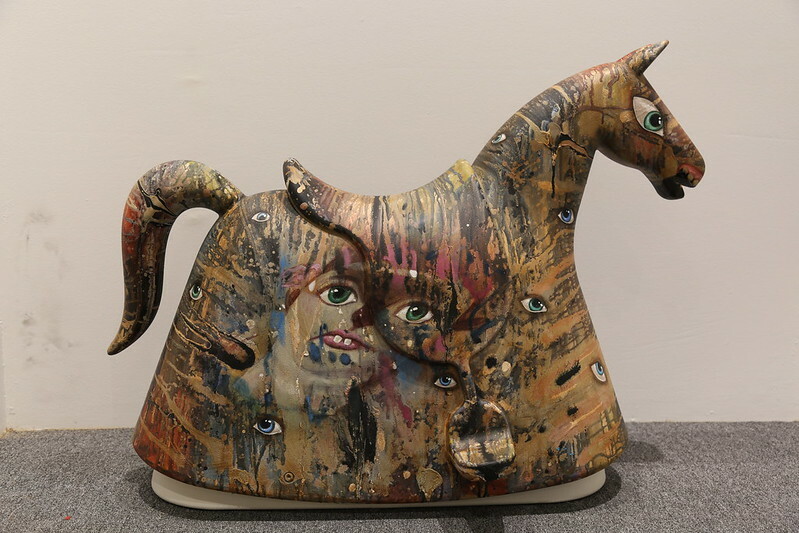 These one-of-a-kind art pieces are for sale. 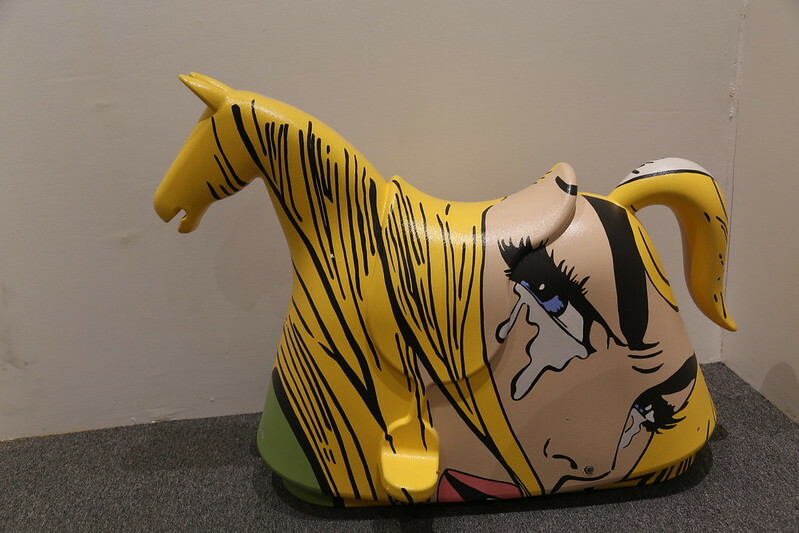 The Unbeatable Rocky is currently on display at the Studio Dimensione showroom at 28th Street cor. 7th Avenue in BGC, Taguig up to September 4, 2016. 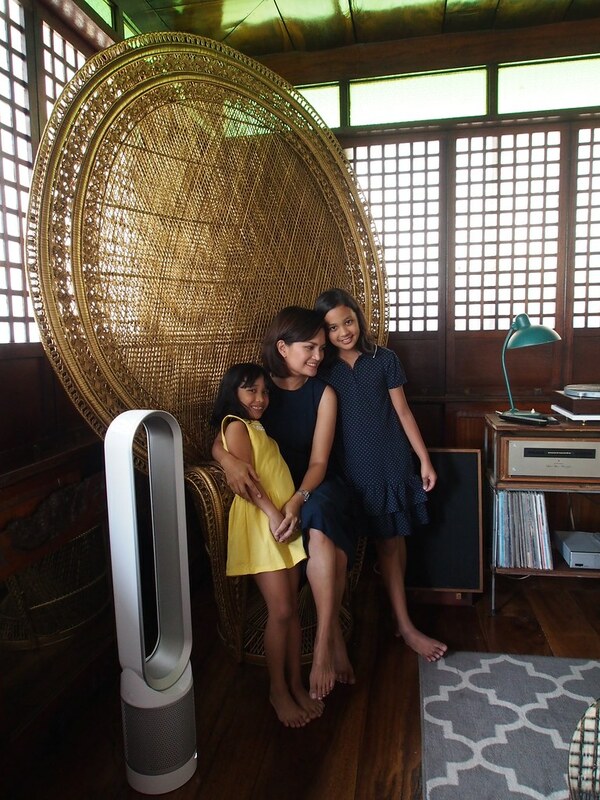 One of the easiest ways to refresh your home in this new year season is by updating some accessories. Instead of going for a specific look that’s on-trend, you can try sticking to a specific colour. This way, your range of styles will be wider, and you won’t get stuck with a look that may eventually go out of style. While going around SM Home at The SM Store, I found some the neatest blue accessories. 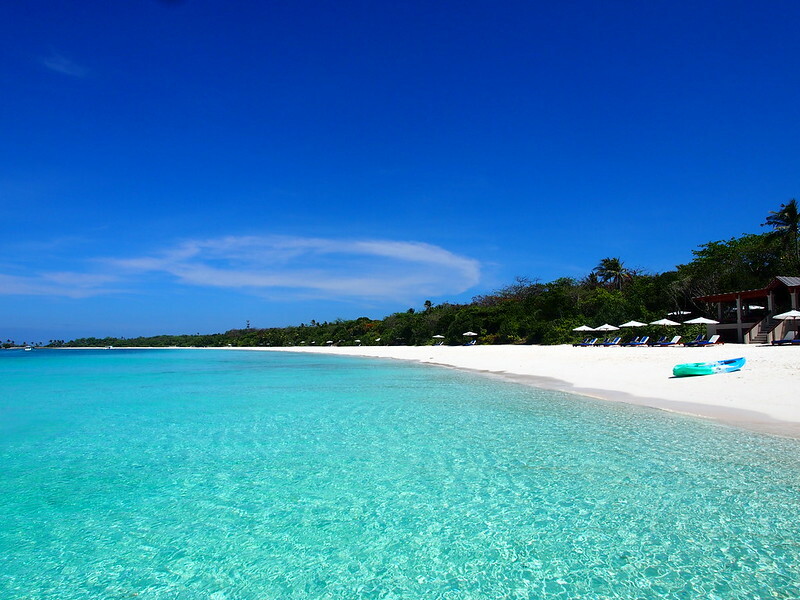 Blue has the effect of calmness and serenity. 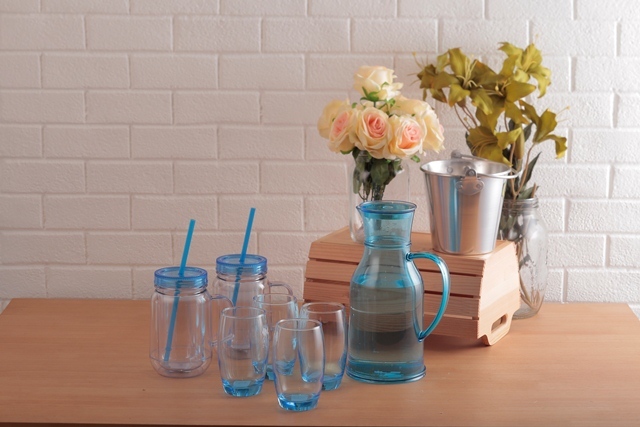 This pitcher’s shade of blue is a great addition to any home. 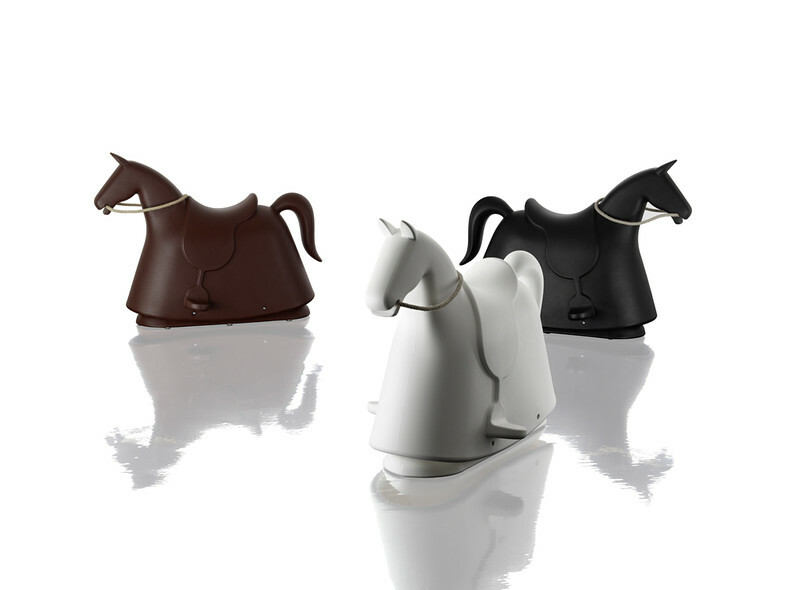 It has a nice rustic carafe shape but the handle gives it more practicality. I also like the double lined plastic mason jars. I’ve been using glass for my juices. But this is great for the kids’ drinks. This sofa will work well in a condo or in a family room. It looks so inviting that you just want to plop yourself in the middle of that crease. SM Home also has a wide selection of framed wall art. You may consider a seasonal rotation of framed art. 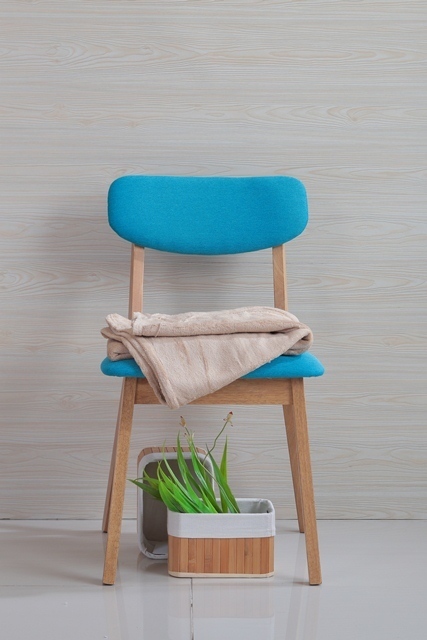 I love the simple lines of this chair. 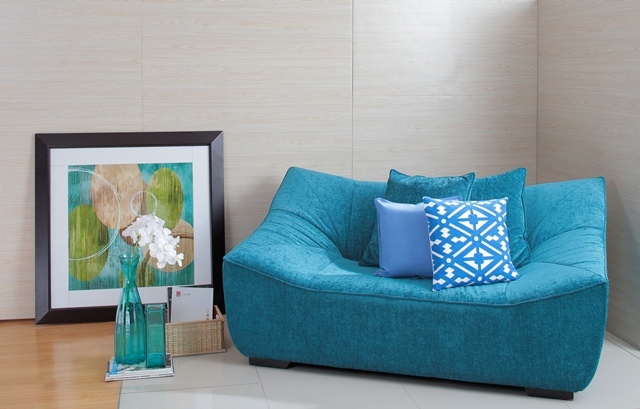 And that blue fabric upholstery just gives it a modern Scandinavian vibe. 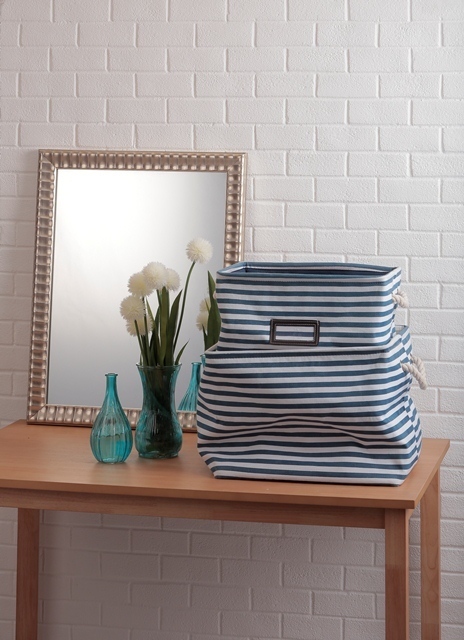 I’m loving these storage bins. They really make it easy to stay organized. 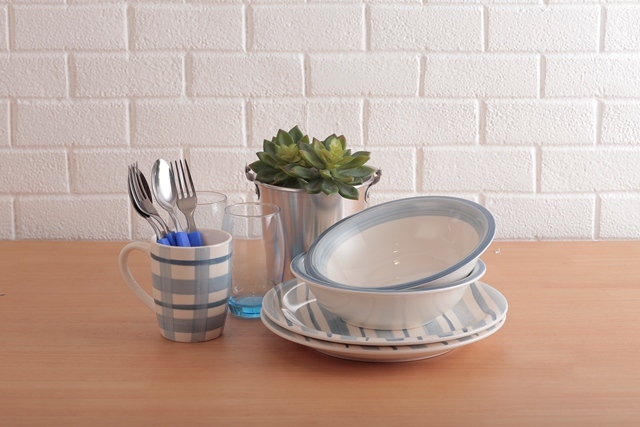 And I particularly love these blue and white striped version. 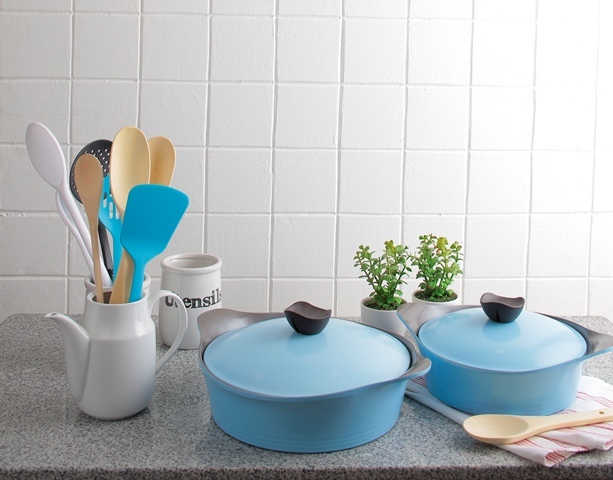 Serve ware that looks like expensive cookware. A little rustic, a little country. Perfect tableware for breakfast. 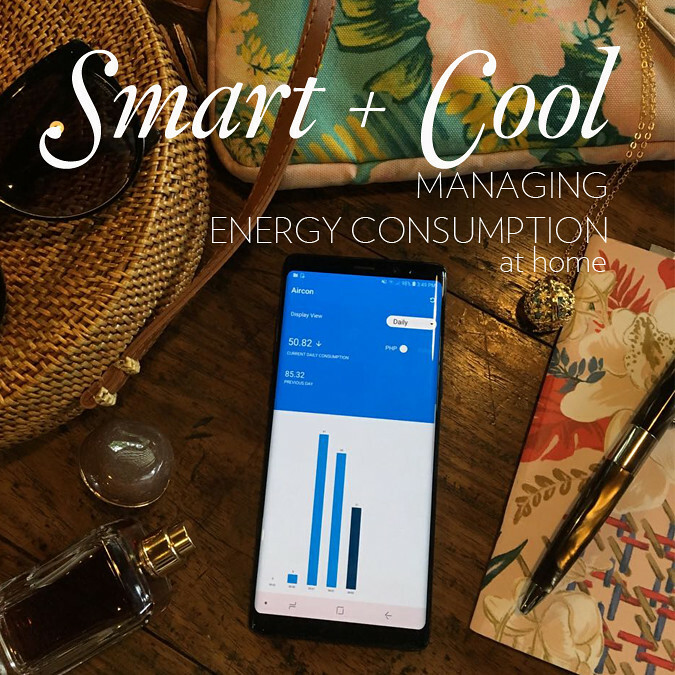 Follow SM Home via Facebook at SM Home, Instagram @smhome, and Twitter @SMHome_PH for more information and inspiration. 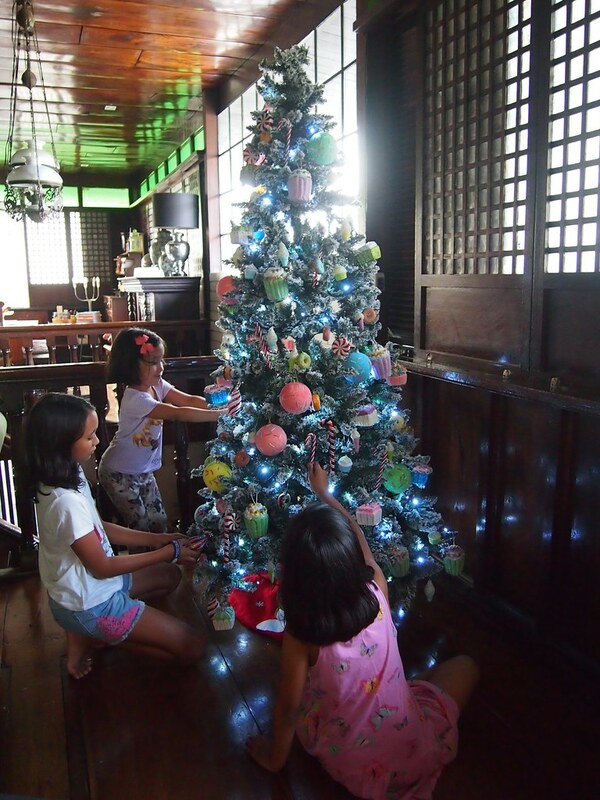 I know Christmas starts early in the Philippines. I have friends who put up their Christmas trees on September 1st! 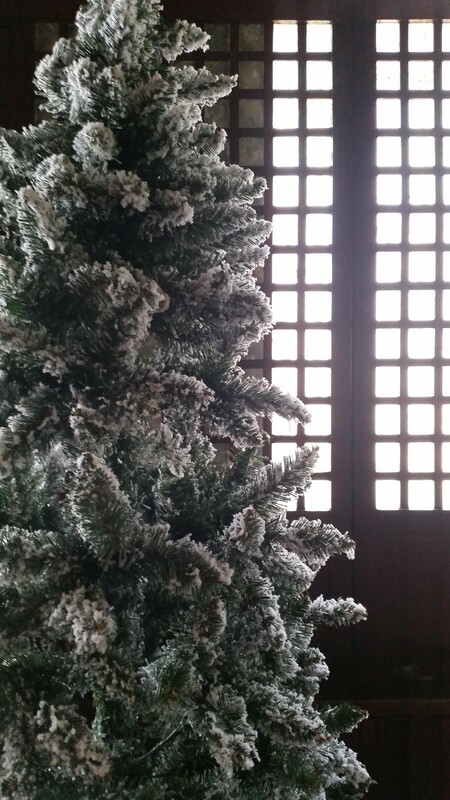 As they say, Christmas starts during the “-ber” months. But in our home, we’ve always put up our tree on the first or second weekend of December. Well this year, we are doing things differently in the Paez house. For one, we have a brand new tree. 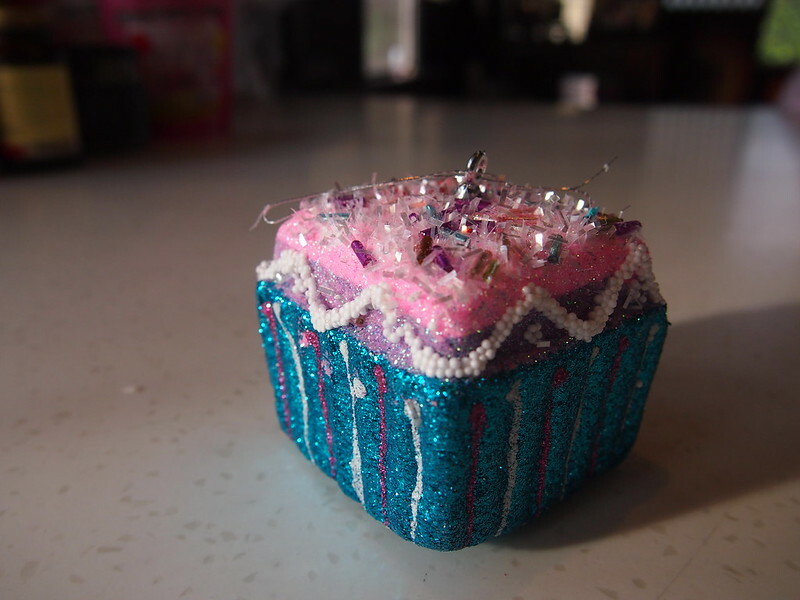 And secondly, we are trying new ornaments. You know how much we love our old ornaments. They all have a story. They all have sentimental value. Some are precious hand-blown glass and brass balls. (Breakage is always part of annual Christmas memories.) We are keeping them and bringing some out. But for the first time we are doing a themed Christmas tree! 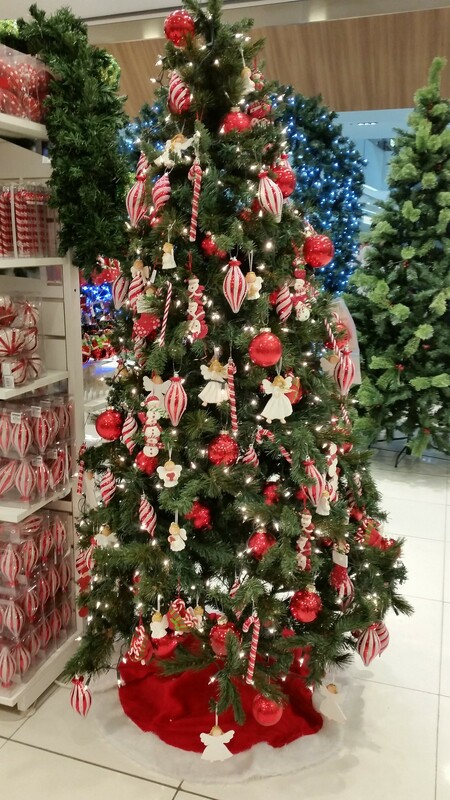 A few days before Halloween, I was walking by the SM Store and couldn’t resist the Christmas decorations. So I went inside and found myself in the Christmas wonderland-like setting at SM Home. They had a wide range of Christmas decor, arranged by colour and themes. They had classic and sophisticated ornaments, cute cartoony Santa decor, toy-inspired accessories, and kiddie versions of Christmas trinkets. 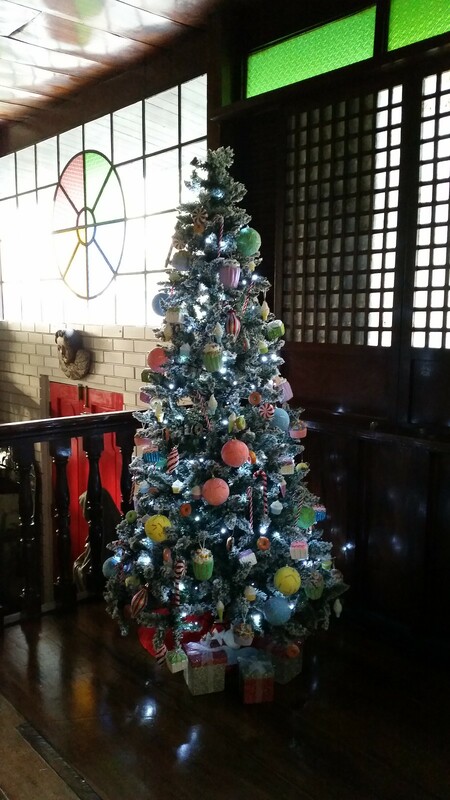 I saw this Christmas candy-themed tree at SM Home. I took a mental note (and stole a phone pic) of the cute peppermint candies!! Inspiration can strike anytime and anywhere. Then I checked out their Instagram account at @SMhome and found the cutest ornaments. 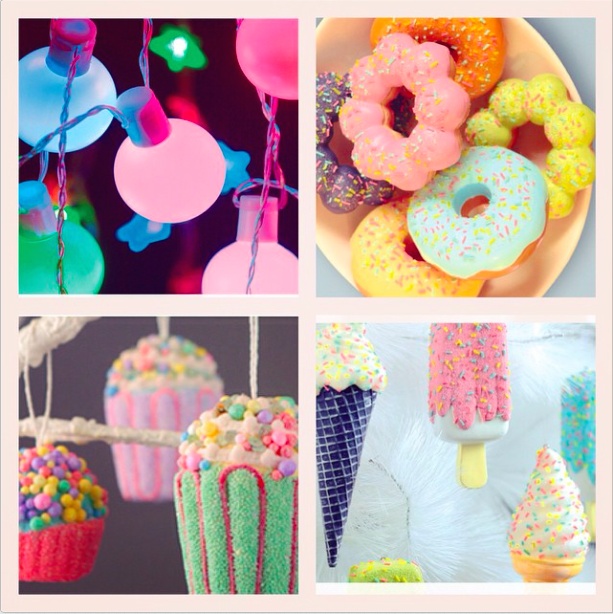 Cupcakes, donuts, ice cream cones! It would go perfectly with the peppermint candies. So I made an executive decision to go with an all-new theme this year. After all, life was extremely sweet for us this year. The kids and Patrick loved it! 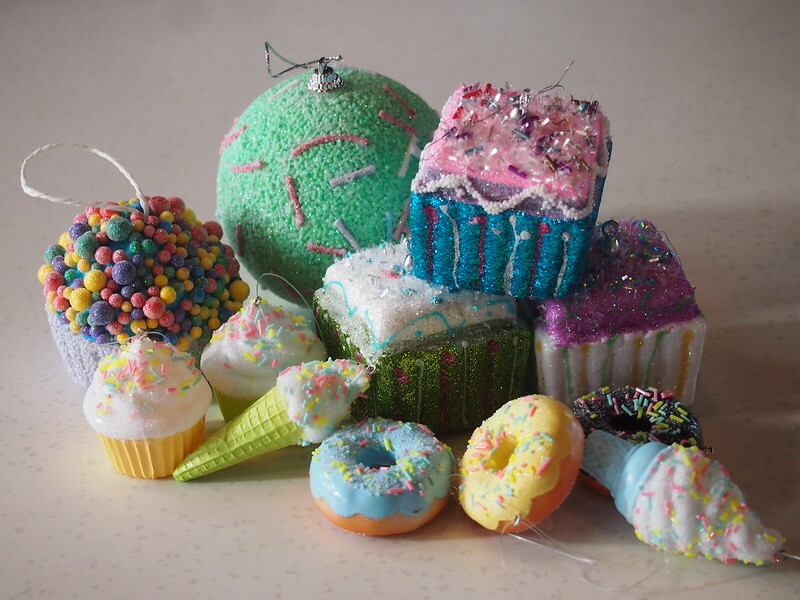 I thought that the “Sweet Treats” collection would stand out better on either a white tree or a “snow”-capped tree. Yay for artificial trees. Let it snow! 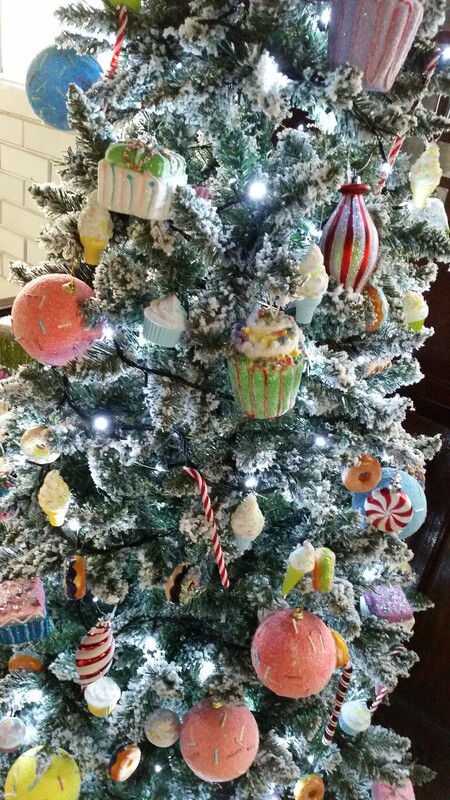 Look at our new cupcake ornaments! 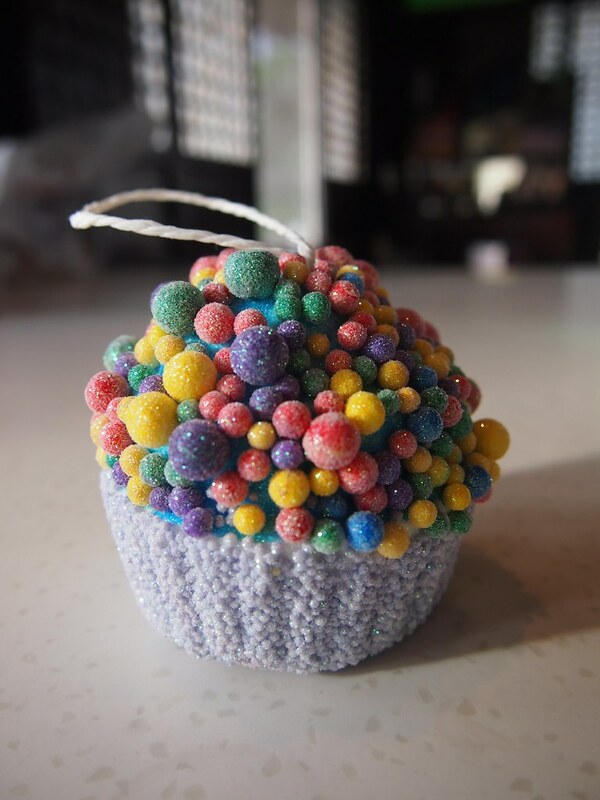 Big fat balls, colourful cupcakes, plastic mini donuts and ice cream cones! All so light! Stella was my little elf. 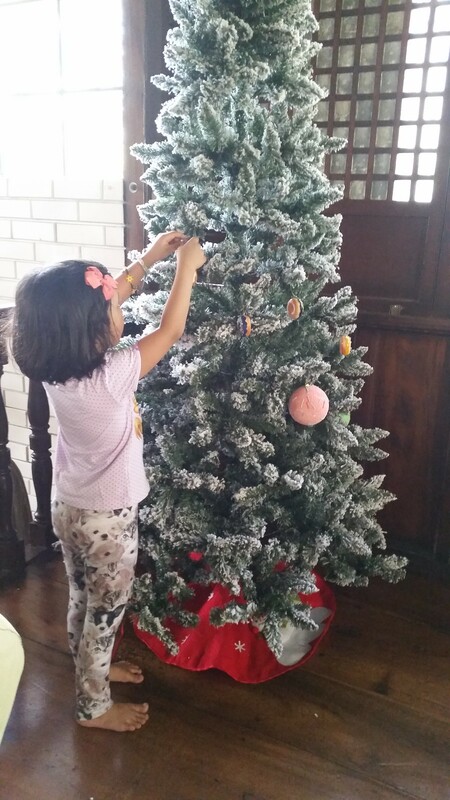 She was so good with distributing the ornaments evenly. We had to stop after a few hangings ’til Lily and Sophia could join us. I only got to hang the ones on top. The girls did everything else. This is the most kid-friendly tree we’ve had. 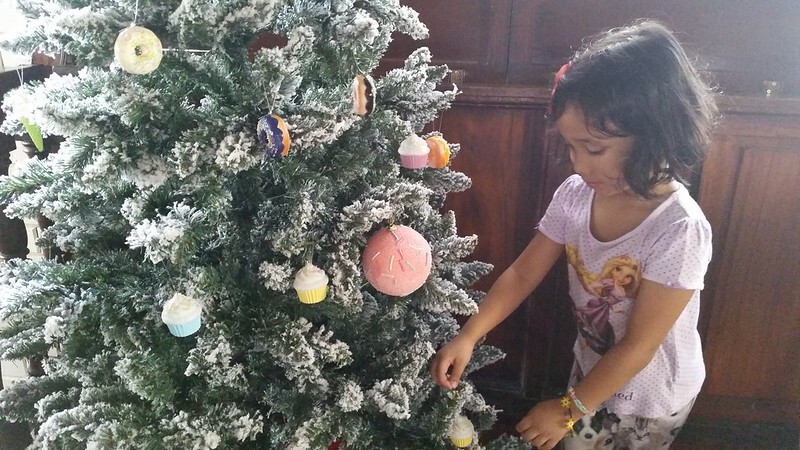 All the ornaments were so light and nothing was breakable. All done!!! But we still need a tree topper. Any suggestions? Check out the different Christmas ornaments and accessories at SM Home at The SM Store. 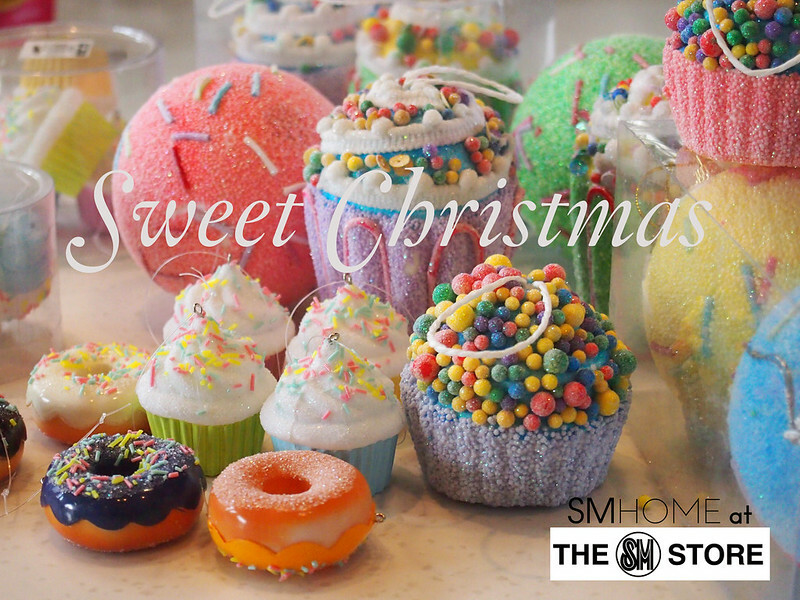 Follow them Facebook at SM Home, Instagram @smhome, and Twitter @SMHome_PH for more information and inspiration. 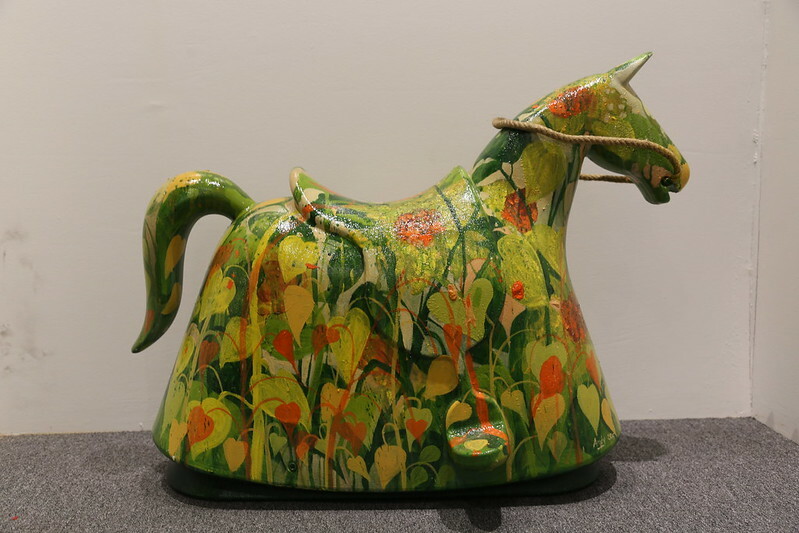 Have you checked out the FEMSA Collection at Ayala Museum yet? 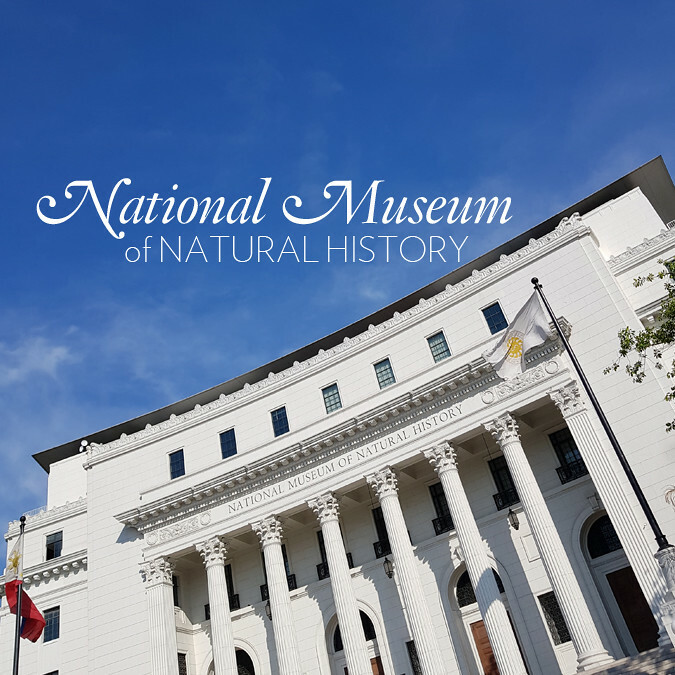 This is a rare exhibition that’s on display until November 9th. 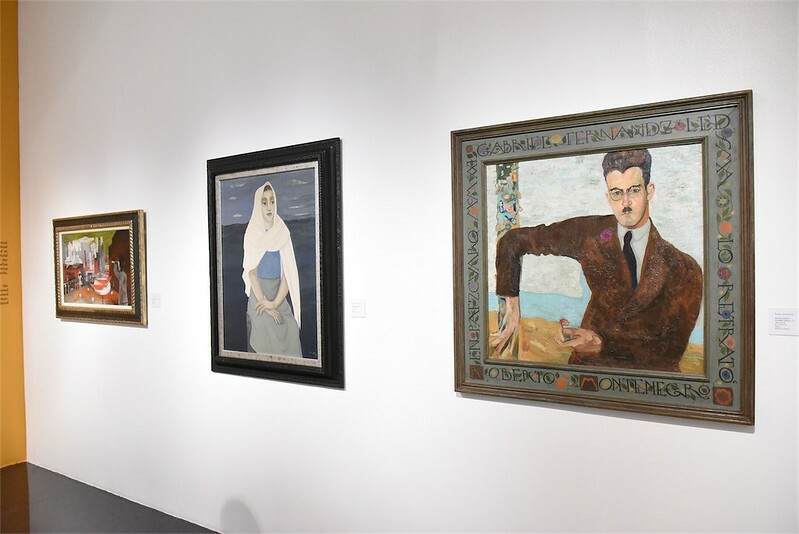 Mexico: Fantastic Identity, 20th Century Masterpieces of the FEMSA Collection, includes 60 art pieces by Mexican artists. 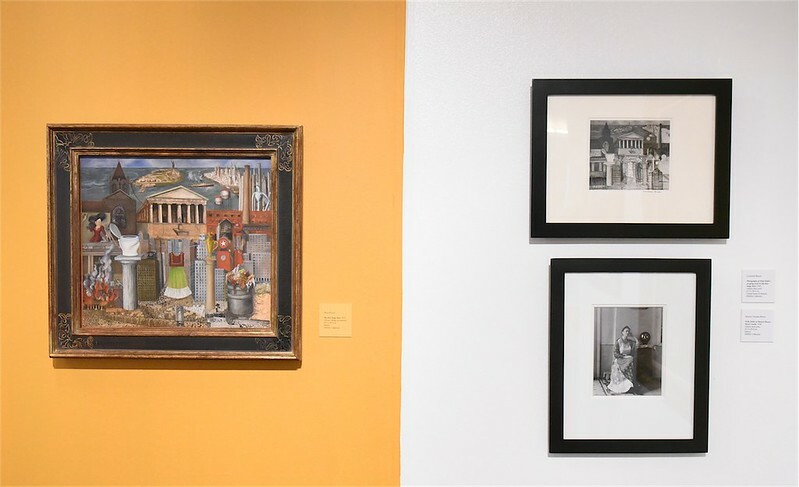 It will take you on a journey through the different movements that transpired in Europe in the 20th century and how they have influenced the works of Mexican artists. 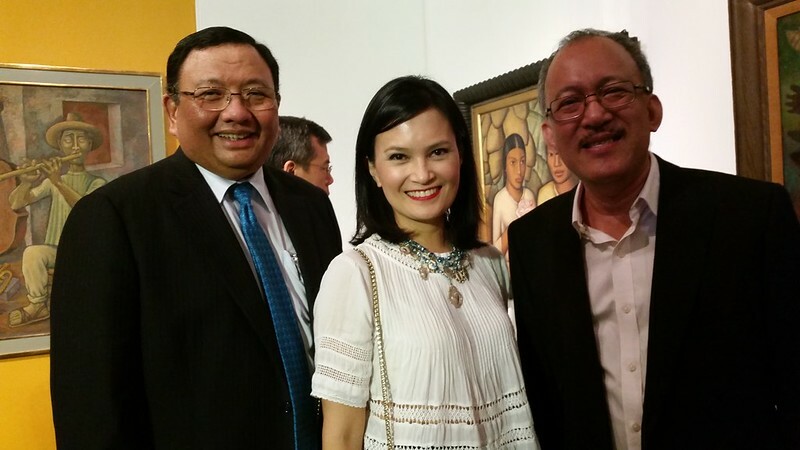 I attended the gala opening upon the invitation of the Mexican Ambassador to the Philippines. 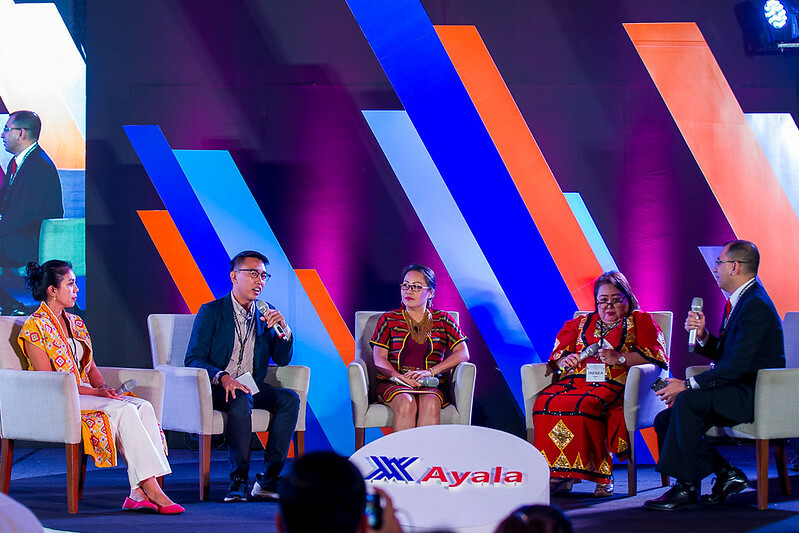 “We are honored to bring the FEMSA Collection to the Philippines for the first time, allowing us to further our goal of promoting education by encouraging appreciation for culture and the arts,” said Carlos Salazar, Chief Executive Officer of FEMSA. Mexico: Fantastic Identity, 20th Century Masterpieces. 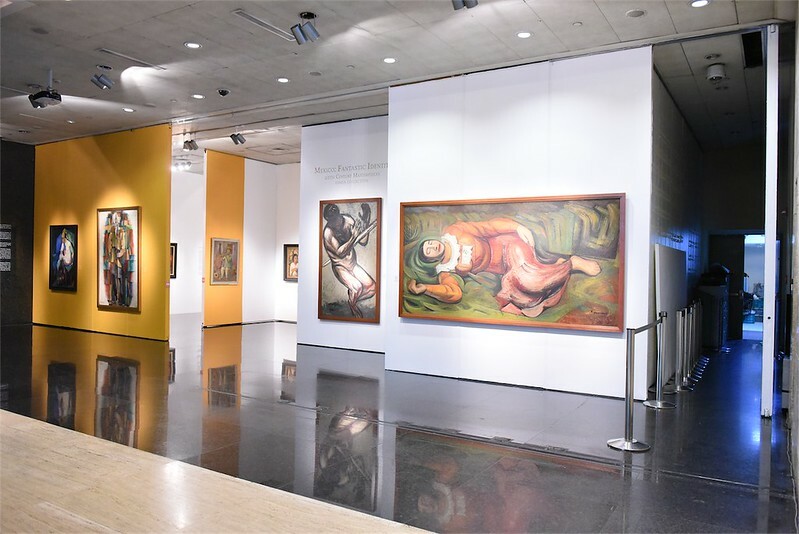 FEMSA Collection sets about a superb Diego Rivera cubist oeuvre completed during his stay in Europe, followed by a significant assemblage created both by muralist José Clemente Orozco and David Alfaro Siqueiros, along relevant representatives of the Mexican School of Painting. 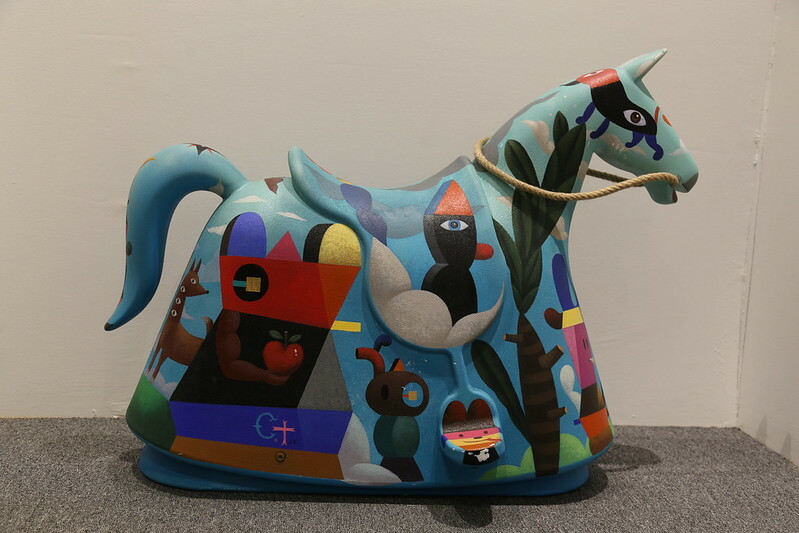 These works display themes that reflect the Mexican national identity after the Revolutionary movement. 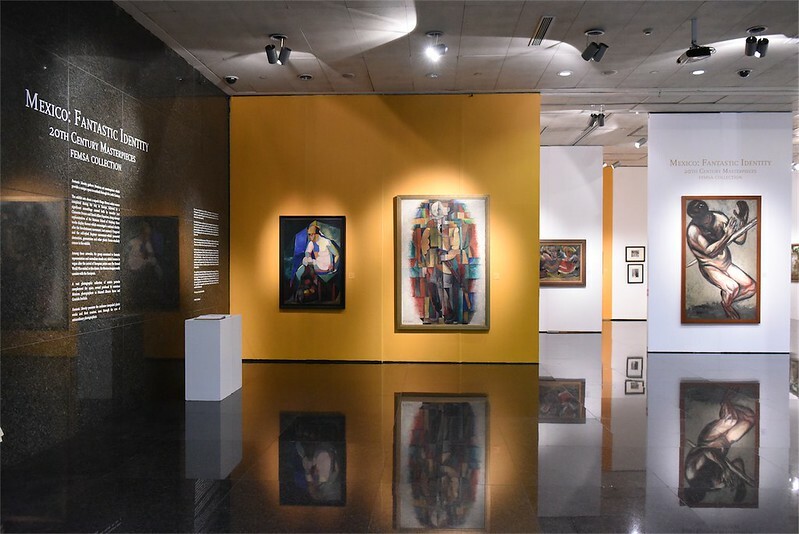 Last century’s Vanguard and the self-styled Rupture movement – which promoted abstraction, geometrism and other plastic forms – similarly concur in the exhibit. 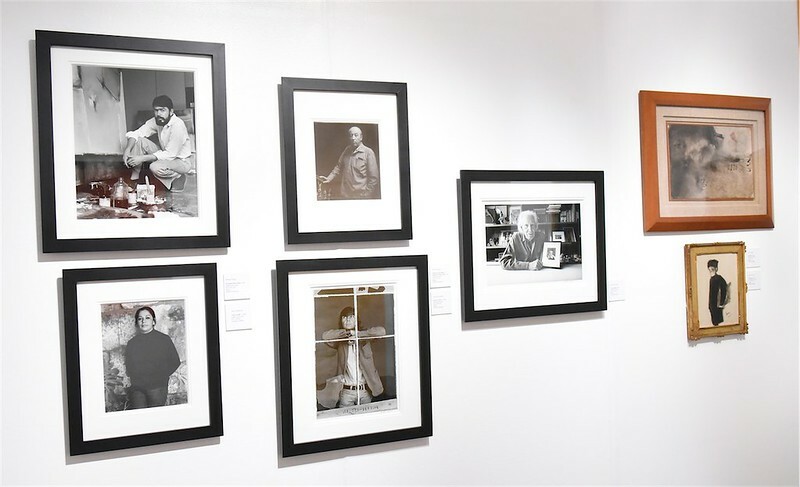 The show is also accompanied by a photographic collection of artist’s portraits, several of which were produced by well-known Mexican photographers such as Manuel Álvarez Bravo and Graciela Iturbide. Being a bad girl. Photos were not allowed, but my friend (who shall not be named) snapped this. Oops. Sorry. But it’s Frida Kahlo! And a very significant piece! Left: Frida Kahlo’s My Dress Hangs There 1933, oil and collage on masonite 45.5 x 50.5cm. Frida painted in the US while her husband Diego Rivera was painting the mural at Rockefeller Center. It symbolises her longing to go back home to Mexico. You can also see references to industrialism and the social ills it brings. Right: Photograph of Frida Kahlo’s work and portrait of Frida. Photo from FEMSA media release. Photo from FEMSA media release. 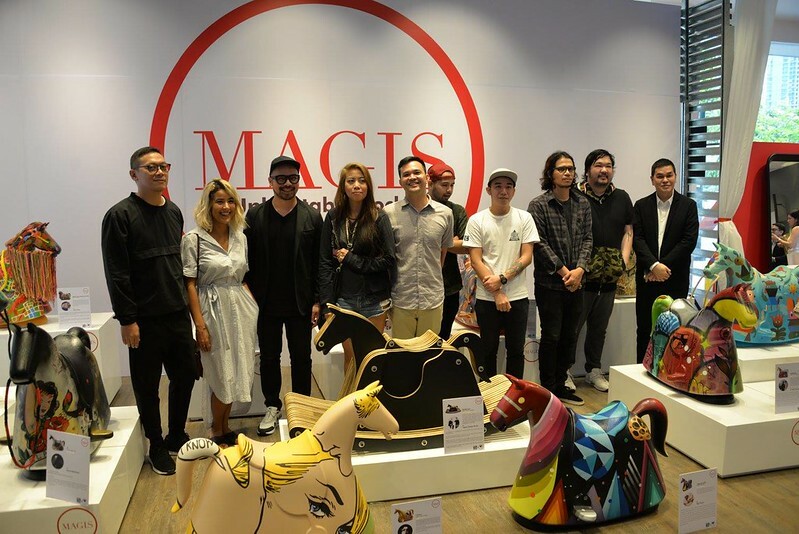 I loved seeing all my favourite Mexican artists under one roof, and right here in Makati. I haven’t really written about it yet, but I had a huge Mexican period during the first half of the 1990’s. I worked on some projects there under the urban planning group I worked for in Canada. 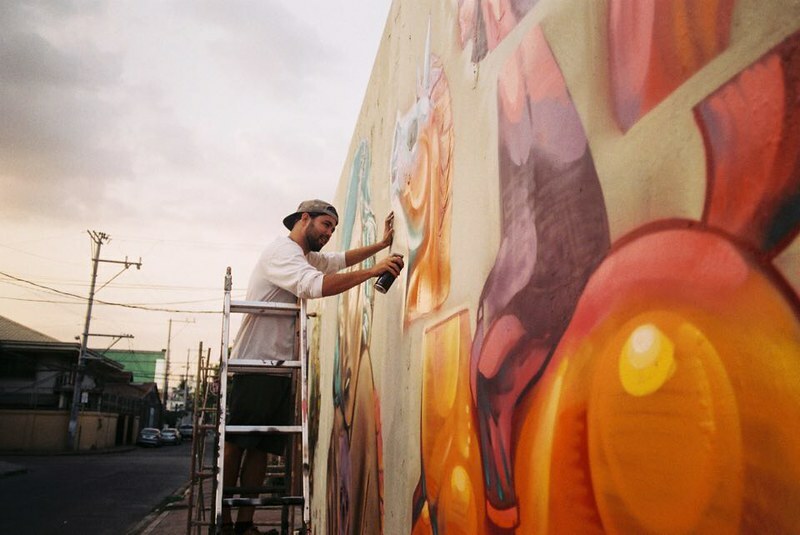 It was in Mexico that I found interest in rediscovering my roots in the Philippines. 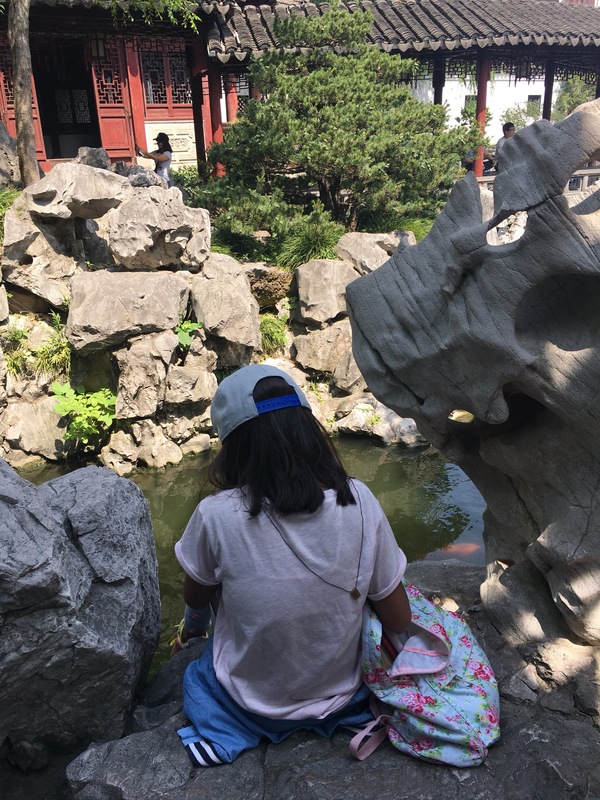 I saw a lot of similarities with the culture and history of both countries. 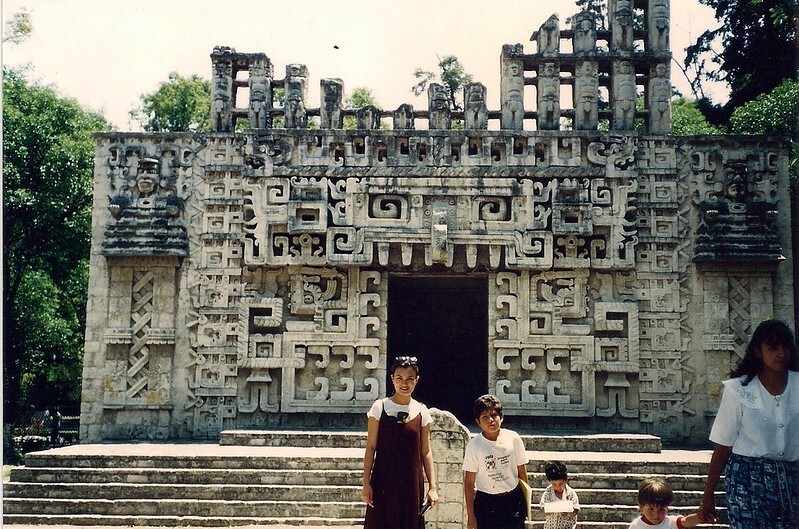 During that time, I immersed in all things Mexican – from art, history, food, language, crafts, literature. Seeing some of the FEMSA Collection here really brought me back. I don’t have many photos of my stay in Mexico. No photos at the house of Frida Kahlo. This was pre-digital era. Gasp! Most of my photos are at my mom and dad’s house in Toronto. I found some that I had brought with me to Manila. Here are some scans. 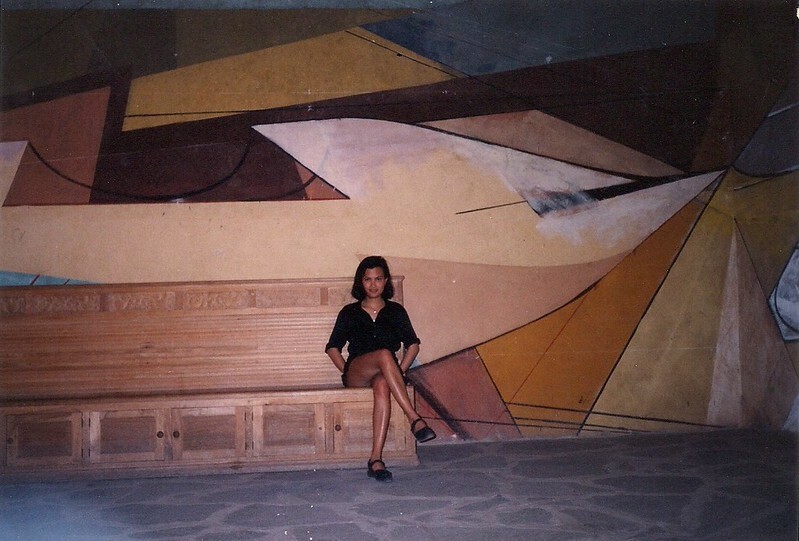 Me in 1994 with an unfinished mural by David Alfaro Siqueiros from the 1940’s in Escuela de Bellas Artes, a cultural center in San Miguel de Allende, Guanajuato, Mexico. 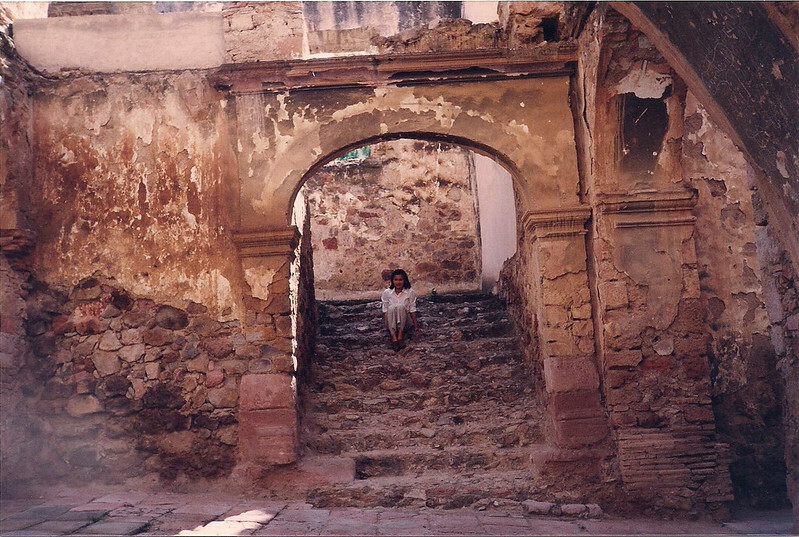 In Hacienda El Soyatal, Aguascalientes. 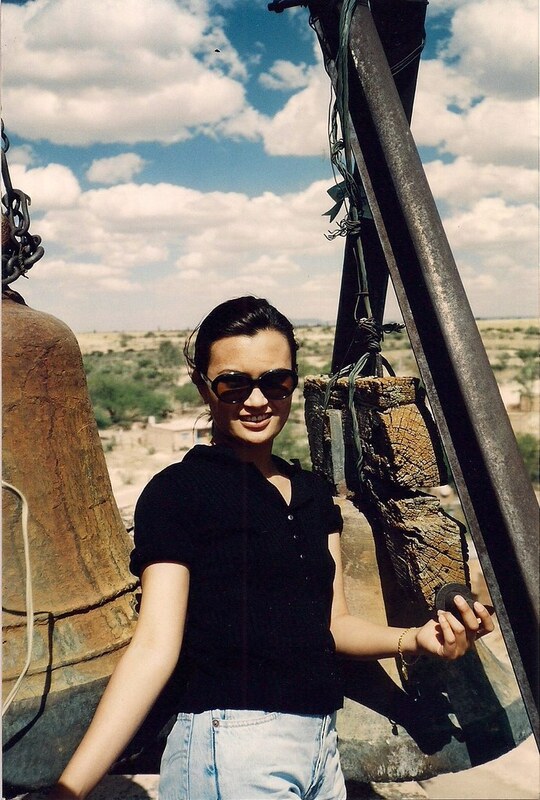 I was a 24 years old here. 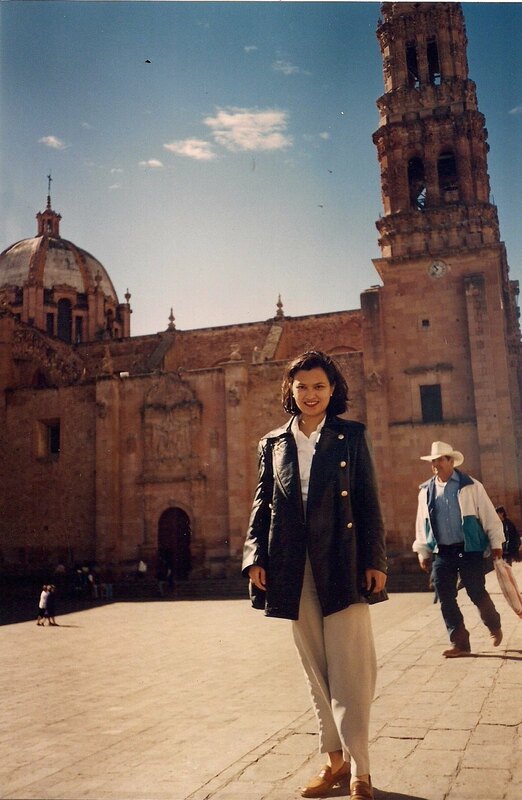 During one of my project management trips to Aguascalientes, I took a side trip to the state of Zacatecas, an old mining capital with beautiful colonial buildings. The National Museum of Anthropology in Mexico City was massive. One of the world’s best. This is in front of the Mayan gallery. 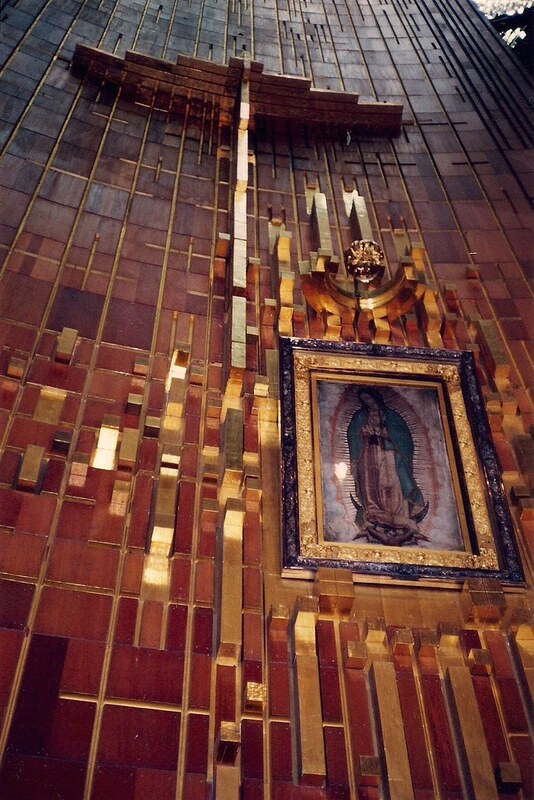 I spent one Easter in Mexico City and witnessed the many devotees flock to Nuestra Señora de Guadalupe. I didn’t know it then, I eventually became devoted to Our Lady. I love Mexico. I am, to this day, greatly influenced by their art. I would love to one day take my family on a long trip there. It’s been too long for me. Time to rediscover. 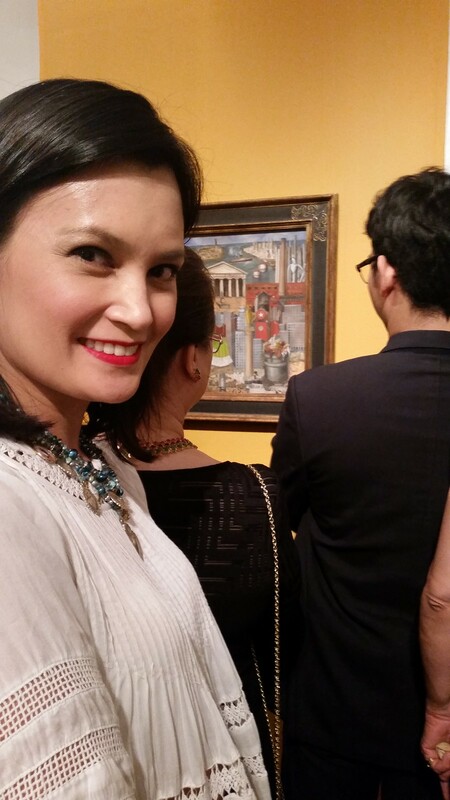 And I am a huge fan of many Mexican artists especially Diego Rivera, Frida Kahlo and Rufino Tamayo. I used to drag my mom, dad and sisters to far away galleries just to see some Frida Kahlos on loan – like in Mc Michael Art Gallery north of Toronto and the Knox Albright Gallery in Buffalo. And all these before Selma Hayek made the Frida movie. 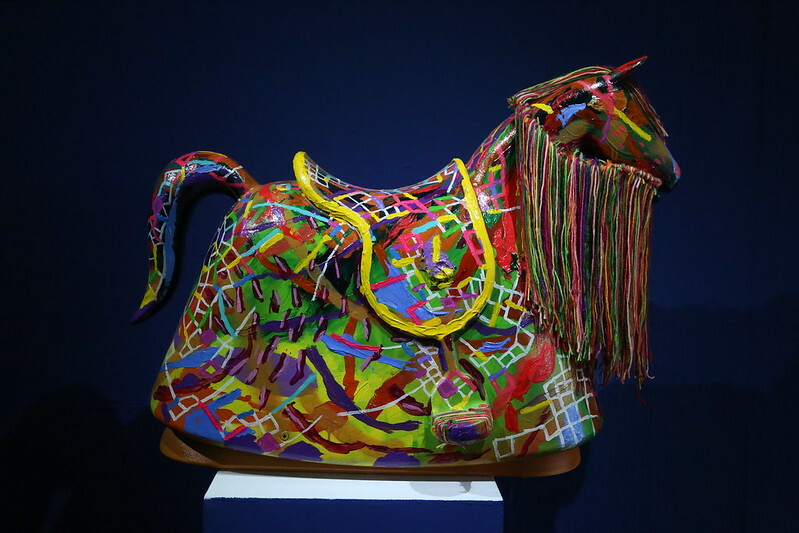 If you haven’t yet, you should go see the FEMSA Collection before it goes away on November 9th. 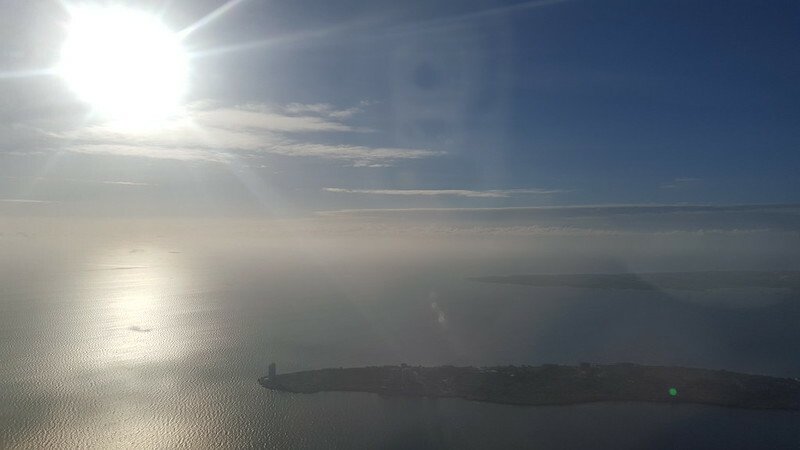 Photo courtesy of FEMSA media release. 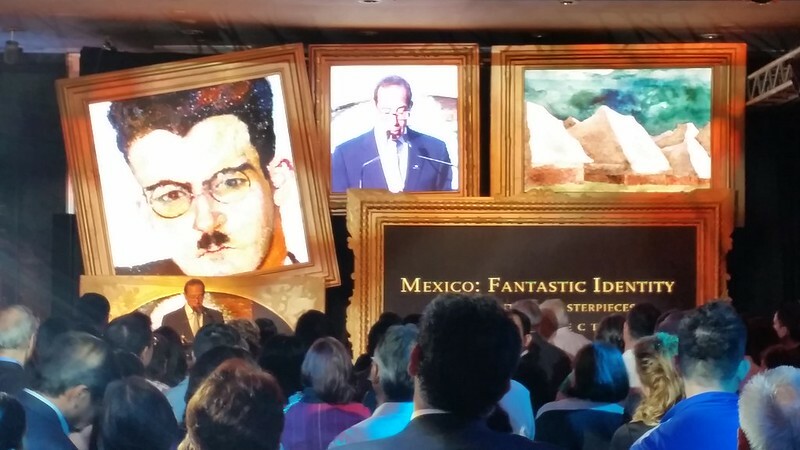 Mexico: Fantastic Identity, 20th Century Masterpieces, FEMSA Collection will run from September 30 to November 9, 2014 at the Ayala Museum. 01 My Daphne chair. Bid here. I’ll throw in a meet and greet at the UNICEF office when you pick up the item. 02 Jewelmer’s Tutti Frutti south sea pearl earrings in 18 carat yellow gold with rose quartz, citrine and white topaz. 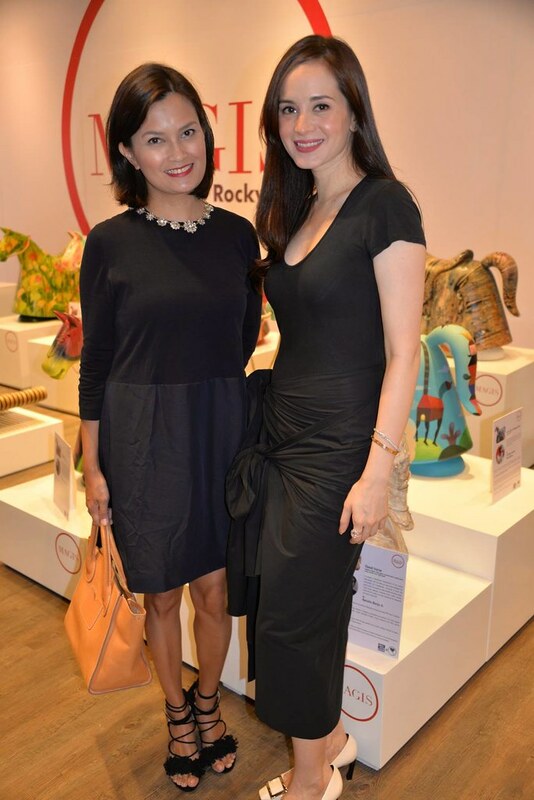 03 Ann Ong’s Binanig clutch. 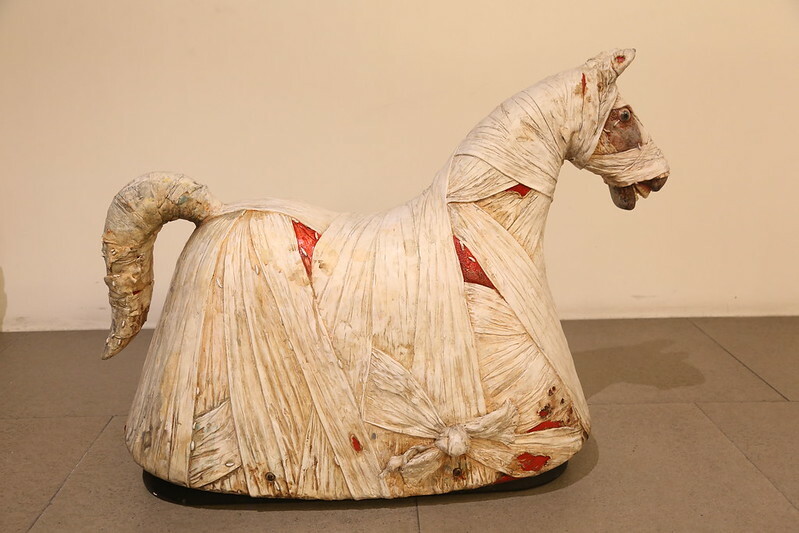 This piece won the Katha Award in 2012 Manila FAME. It kick-started Ann’s successful career as a designer, giving her three consecutive awards after winning with this piece. 04 Leeroy New’s Entropy. 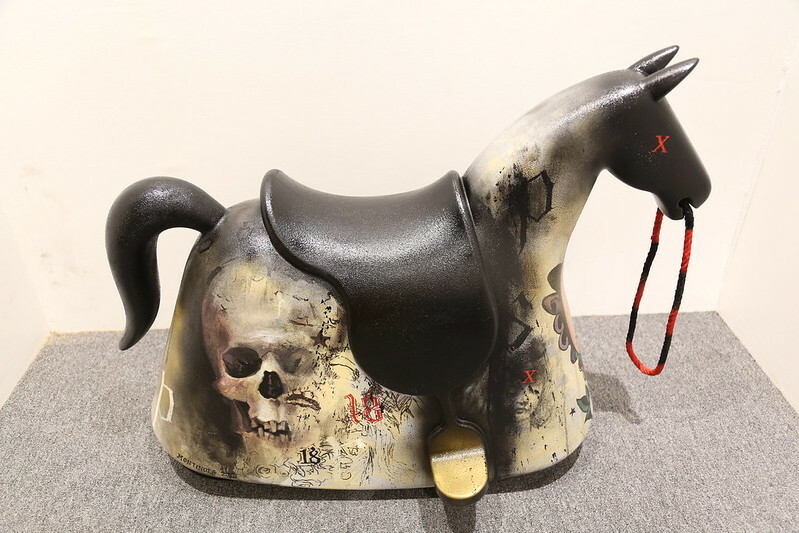 An amazing piece from a very significant contemporary artist whose works have been worn by Lady Gaga. 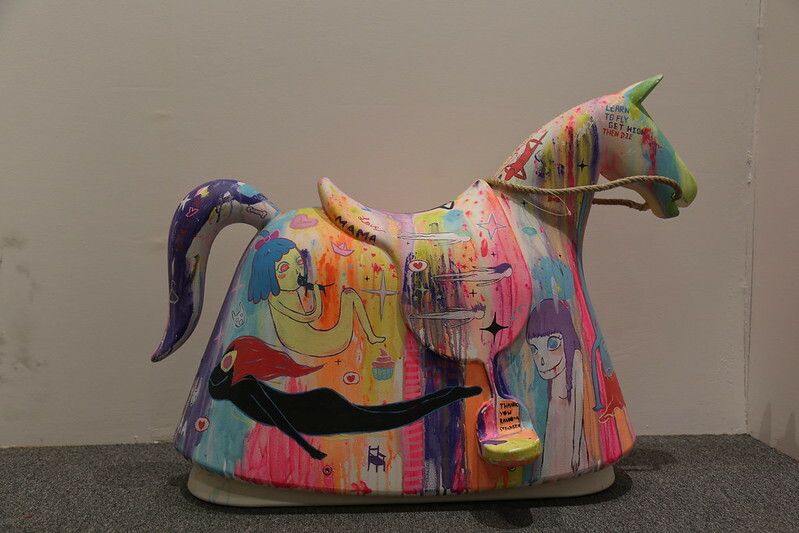 Leeroy is a Visual Arts graduate of the Philippine High School for the Arts and University of the Philippines Fine Arts. 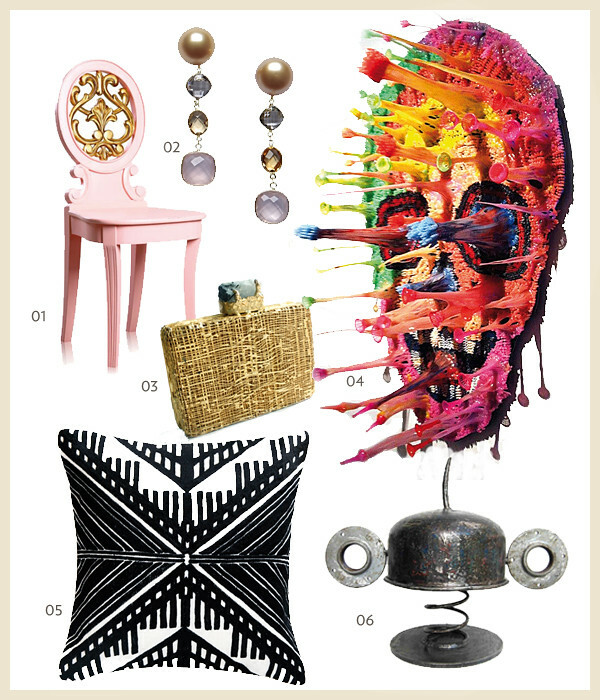 05 New York-based designer Inigo Elizalde’s Tamaraw throw pillow.